This was built for flood management purposes and completed in 1961. The area offers a looped fitness trail with exercise stations, fishing, playground, picnic areas, restrooms, shelter house, observation area of the dam, bicycling and boating at nearby marina. There is a Visitors Center featuring historical, fish and wildlife and flood management information. 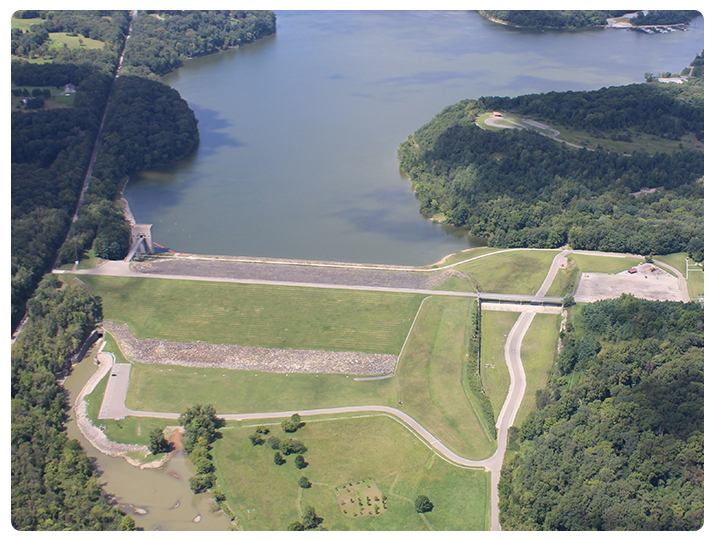 Tours of the dam and flood control facilities are available.